i also collect interesting progs for the st.
which offers a "new folder"-create-button , which is so useful...try out! is there any other screen grabbing util except SnapIT ? EDIT: now I read you are using MyAES... maybe the XaAES program works for MyAES as well? hm... where I can find XAAESNAP.PRG ? calimero wrote: hm... where I can find XAAESNAP.PRG ? does anybody have EBdump screen grabber? anywat, I include eb_dump (with source) in this post. Maybe someone could put it on "essential software list"? Why? 'Cause I wrote it long time ago. One may download it still from my homepage (unfortunately only in German, but you'll find the download link) next to all of my other Atari stuff from the ancient times. Even the homepage is only in German the ZIP file contains the ACC/APP and the documentation both in German and English. What about Guck? Isn't that an essential utility? What do you use for text file viewing? Yes, I agree! I just tried this today and I love it! I really like how it can display the available memory and date/time all from within the same app. Of course it does a lot more but I don't have much screen space haha on my old MED rez monitor. But this program will stay in my startup folder. Good work! Thanks for letting me know about it! I noticed at the essential software site that Connect was listed as shareware with a demo version 95.00. In fact the author released it as public domain since 1998. It is a really good comms program. Also in this thread http://www.atari-forum.com/viewtopic.php?f=14&t=25511 the author of Diamond Back and Diamond Edge released them as freeware. They should be added to the essential list too. you have quite nice collection here: http://www.dirk-hagedorn.de/?s=atari !!! TNY image backup can have two bad values. These bugs are supported with MI-3 and MI-9. Last edited by rockyone on Sun Apr 09, 2017 6:50 pm, edited 5 times in total. Last edited by rockyone on Wed Nov 09, 2016 12:39 pm, edited 19 times in total. Anyone else still using it? Has it been released into the public domain? 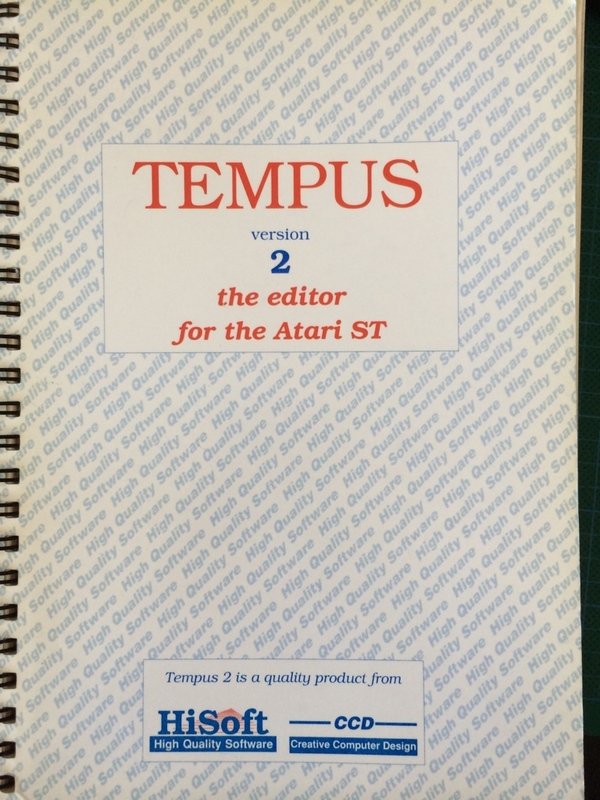 I have an original version with the manual, and I'd be happy to share both if it has. 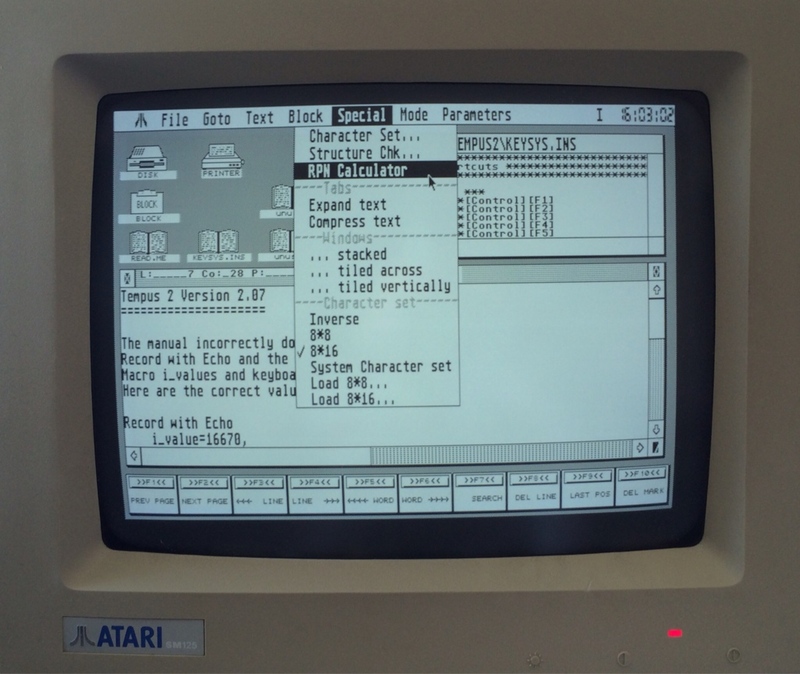 ... is there a program to convert the Boot Sector from a Atari ST TOS Diskette to make it MSDOS compatible ? frank.lukas wrote: ... is there a program to convert the Boot Sector from a Atari ST TOS Diskette to make it MSDOS compatible ? How about DOS formatting a disk and copying the files into it on the ST? I wouldn't want to mess with a disk that had any data on that I cared about. 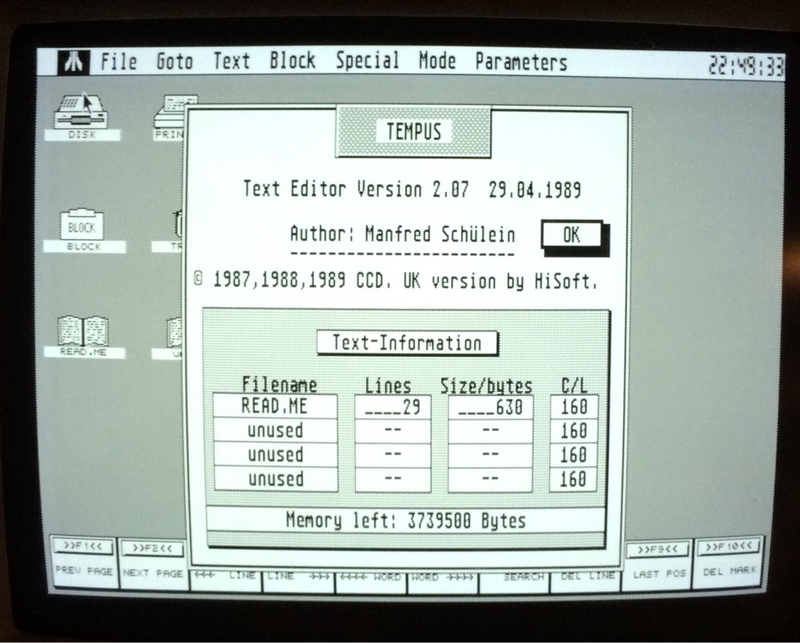 I bought UIS III from The ST Club 20+ years ago, still the best file selector I have used. How important these things were with no multitasking! Imagine creating a masterpiece and then realising you have no formatted disks to save it on. Last edited by rockyone on Thu May 21, 2015 5:49 pm, edited 2 times in total. Operates in "ACC or PRG"